I was a Bernie Sanders supporter for all of two weeks, sometime around October of last year. There is an undeniable freshness his candidacy has brought back to American politics, in an age when political gridlock prevented Barrack Obama from doing everything he could have to get the economy back on track after the Global financial crisis. The gridlock can be seen everywhere from the number of times the GOP has tried to defund Obamacare and Planned Parenthood to the Senate Republican’s refusal to consider Merrick Gaarland as a nominee for the Supreme Court. To that end Bernie speaks a very good game, and in some ways his movement has parallels with Obama’s run against Hillary 8 years ago, and not solely because he’s running against Hillary now. Sanders has tremendous support among younger voters because he speaks about a world in dire need of change, both from poor politics which favour the wealthy to the detriment of the many and for a world which can’t sustain our species’ way of life, much the way then-Senator Obama did. He speaks passionately about income inequality, far and away his biggest talking point, but he also wants to make college tuition free, combat climate change, enact universal healthcare coverage and reform the criminal justice system. And these are extremely good social causes to fight for, which is why Bernie is so popular among the younger voters, not just in the US but across the developed world. Just about any post about the Vermont Senator by a major media outlet on Facebook receives a barrage of comments, many of which are from avid fans from Europe, Canada and Australia keen to tell the world how well the socialist democratic model works for them and that everything Bernie is promising is perfectly attainable. And for a while at the beginning, I was very much on board. But a turning point came for me when he said something to the effect of there being no tax rate too high for the super rich and followed that up with an obscure plan to pay for free college tuition by imposing a tax on Wall Street speculation and his assertion that the Federal Reserve needed more oversight because of its decision to raise interest rates to cool down the economy which could possibly have an adverse short term effect on working class families- which really defeats the point of having an independent Federal Reserve. And bit by bit I felt a cool breeze ease ‘the Bern’. Admittedly, this had a lot less to do with his opponent making an excellent case for her candidacy, but rather more to do with Senator Sanders seemingly not having a clue about how he would actually go about achieving many of his set goals. It can never be enough merely to speak about great ideals and plans for a better future, these lofty goals need to be married to actual policy prescriptions and on that front Sanders has been, to use a term in keeping with the millennial theme of this essay, an ‘epic fail’. But worse, what I found particularly troubling was that when faced with an increasingly narrow path towards the nomination, Sanders seemingly forgot his promise to run an issue focused campaign, by blurring the lines between personal attacks and political pandering, by repeatedly attacking her regarding speeches she’s made to Goldman Sachs and supporting insinuations that she is corrupt and in league with the Democratic Party establishment to maintain the status quo in favour of the fat cats on Wall Street. He even suggested that being having taken donations from the financial industry should make Clinton unqualified to run for President, a rather absurd claim which he later tracked back because that would disqualify the vast majority of recent Presidential candidates, including the current holder of the office. Asked if he could point to any specific instances of where the Secretary has allowed her relationship with Wall Street affect her political decision making he responded that he could offer none. For all his railing against the establishment of the Democratic Party over the Superdelegate system, his campaign was insisting that even if he goes into the July convention with fewer pledged delegates as Clinton, he would attempt to change the minds of the Superdelegates to vote for him instead. And this is all particularly troubling coming from Sanders because a candidate offering an alternative political reality and claiming to be above ‘politics as usual’ should really walk the talk, especially ones with as purist an ideological platform as Sanders. Thus we arrive at where we are now. Hillary Clinton is almost certain at this point to be the nominee of the Democratic Party, and the best Bernie can hope for is to keep the conversation as far to the left as possible largely by leveraging his support and withholding a direct endorsement, which Hillary will no doubt need in November’s general election. There is the ongoing FBI investigation into Clinton’s use of a personal email server during her time as Secretary of State, but unless there is more damaging information that the public is not aware of as yet, an indictment seems most unlikely. And that leaves the question, what next for the revolutionary and his movement? Sanders himself seems determined to carry on campaigning and taking his message about income inequality, climate change and universal healthcare around the remaining 10 states in the country. It is hard to imagine a position for him in a hypothetical second Clinton administration; he is far too much of a maverick to play second fiddle to Hillary Clinton as her VP and there are no obvious cabinet positions for him to be considered for, were he even interested. The history books may go on to list Sanders as the grandfather of a leftward shift in American politics, and it would be hard to begrudge him the title. 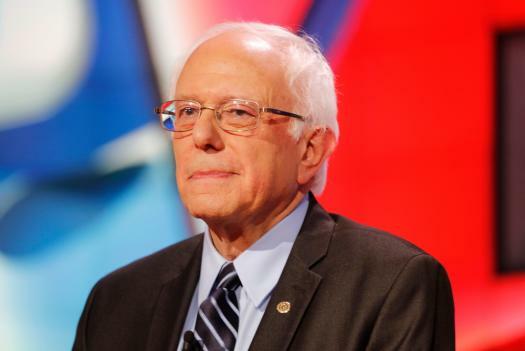 Sanders the man has been admirably consistent in his policy views over the decades, from being arrested for protesting against segregated schools in Chicago to his support for the very first Gay Pride Parade in Burlington, Vermont when he was Mayor in 1983. The movement on the other hand has an arguably more difficult task. The support that the Sanders campaign got against a well established, more experienced and much better prepared opponent is, in spite of its ultimate shortcomings, quite a miraculous achievement. But the left needs to be much less complacent if it retains the White House in November (and perhaps takes the Senate and the House), and avoid the disastrous losses it faced in the 2010 and 2014 mid-term elections. The same people who were so eager to vote for Bernie and flood social media with calls to correct a poor political system, can’t just go back into indifference now the Socialist-in-Chief is winding down his campaign. The worthiness of the goals are the same whether there is an ardent advocate for them or not. There is though a bigger, more structural concern and this is what I fear is to be one of the lasting legacies of this election cycle. Sander’s highly energized base needs to keep the momentum on social issues going but also be wary of becoming a version of the Tea Party on the left. Because for all of the damage the extreme right has done to the Republican Party by refusing to budge from their closely held conservative beliefs, there is very little to stop the left from doing exactly the same thing. Political zeal should never get in the way of policy making, which must always be tied to economic and social realities. And same way the left has criticized the right for ignoring the research on climate change and trickle-down economics, Sanders’ and many of his supporters willingness to overlook economic theory for the sake of a federal minimum wage of $15 is an example of ceding the greater good for better rhetoric. The Democratic Party needs to veer to the left and adapt to the gradual shift of a large part of its base which, rightly or wrongly, feels the Democratic Party isn’t paying enough attention to them. And it needs to do this without going overboard with populist ideas that don’t have a strong enough basis in policy prescription and in economic reality. Burma, ASEAN's next "new frontier"